The crime scene cleaning industry may have a glamorous light shone on it via hit TV shows such as "Dexter", "Law & Order" and "CSI: Crime Scene Investigation", but the real world aspects relating to the discovery of a dead human body are obviously much less exciting and Hollywood-esque. After all, when a decomposing body is found, either through a planned suicide, a homicide or an accidental death, the correct crime cleaning company needs to arrive on the scene and return a semblance of normality to the nearby surroundings. When a deceased person has to be removed, referring the appropriate crime scene clean up services is essential to the well-being and safety of the community at large. It is an industry that deals with many volatile and taxing emotions, including the vast array of passionate - and possibly explosive - feelings that a family member may experience at such a complicated, unexpected and tragic time in their life. However, for those working in the biohazard clean up crews that take care of this type of work, they feel intense satisfaction in knowing that they are making a positive difference in people's lives. Before all of this, team members must learn more about their chosen industry via numerous Occupational Safety and Health Administration (OSHA) educational courses and seminars, so that they can become successfully certified to handle and dispose of hazardous waste. Furthermore, any background knowledge in law enforcement, medical services or responding to emergencies may prepare team members for the types of crime scenes they will have to attend to. They are also required to know how to protect themselves against blood-borne illnesses and other diseases, as well as how to properly use safety equipment. In some states, a crime scene cleaning company may require bio-hazardous waste transport permits. The members of BIOPRO's clean up teams always have a respectful perspective when coming into contact with a dead body, and the subsequent emotional turmoil that they encounter is always treated with the utmost respect and reverence. Crime scene cleaning typically involves clean up after violent crimes, murders, drug busts, possible human pathology contaminations and other vicious aspects that can be stumbled upon. Therefore, our workers must be strong enough to handle the sight of blood and comfortable enough to manage hazardous materials. 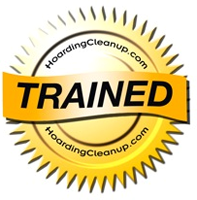 Although primarily dealing with blood and odor removal, body decomposition and medical waste disposal, our homicide cleaning teams also handle delicate matters regarding hoarding clean ups as well. Trying to make life a little better for the survivors of violent homicides, severe accidents, suicides and other awful traumas, BIOPRO's Arizona-based team of medical waste removal, hoarding clean up and homicide cleaning crews offer highly competitive pricing. We supply our specialized crime scene clean up services to residents living in Phoenix, Tempe, Mesa and Chandler, and we guarantee a personalized type of service that will assist you in your time of need. Please visit us online at BIOPRO, LLC if you would like more details about our extensive range of biohazard cleaning crew services. Alternatively, you can call us toll free at (877) 492-7549 for more information. Our biohazard clean up and bio-recovery team can help you today. We are fully insured, licensed and trained, and possess more than 25 years of experience in the field.